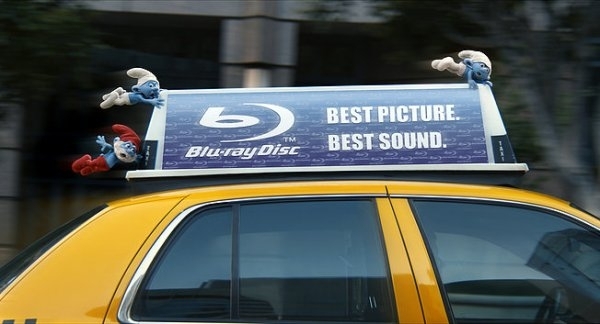 “The Smurfs 2” debuted in theaters last week, raking in a total of $18-million during its first weekend. The first movie finished its first weekend with a much more impressive $35-million. Still, Sony Animation isn’t disappointed with the reception. In fact, it has already started working on a third installment slated for 2015. Why is Sony Animation optimistic? Well, that’s easy: product placement. The production company partnered with over 100-million corporate partners to promote the movie through licensing deals. Some of the company’s licensing partners include: McDonald’s, Walmart, Haribo, and Capri Sun. The licensing agreements have already eclipsed the entire production budget of the film. While the movie may not be breaking box-office records anytime soon, it’s certainly reeling in revenue. The Smurfs 2 features Hank Azaria, Neil Patrick Harris, and Brendan Gleeson. You can catch it in theaters now.